Fun Trendy Geometric Votive Holder or Vase Design. Can be used as a vase! put a small cup inside. Great! 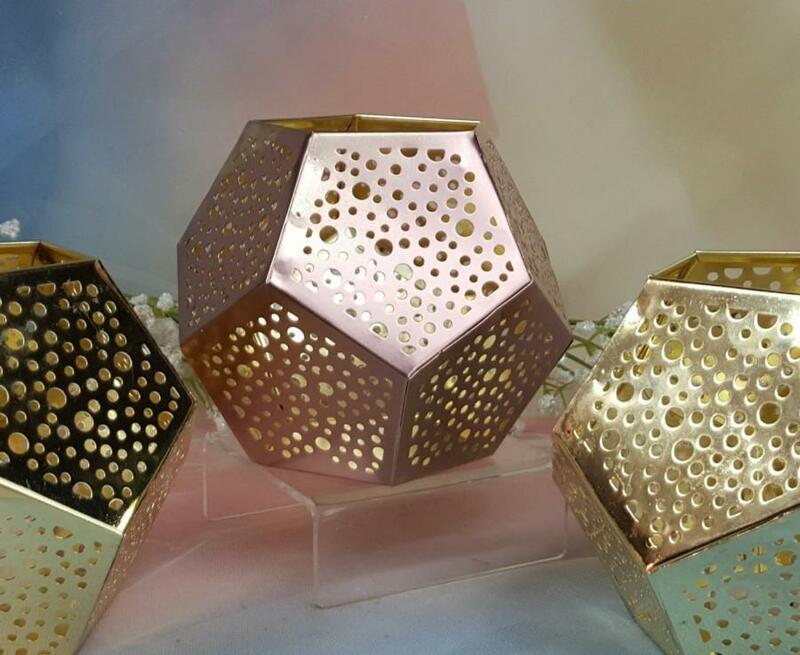 2 in this order Pick your colors below or mix them up Shiny gold finish with punched-out holes, Gold Metal Punched Geometric Tea Light Holder is perfect for illuminating your surroundings. Just add the tea light of your choice! Create an ambiance of romance and sophistication at special events, parties, weddings, and more! Light just dances out of the "holes".